In the '70s I was always Chappelli. Backyard cricket with my competitive neighbour John was epic. I always batted and was Australia's No. 3. He bowled. He was often one of those fearsome quicks from the Caribbean who regularly bounced and bruised - despite being a freckled redhead with fair skin. Those West Indies fast men were magnificent. 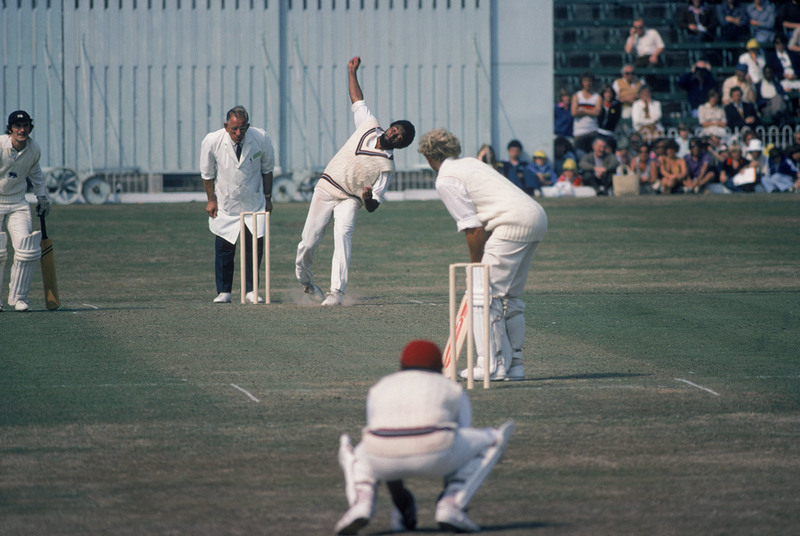 The Rolls Royce was the ridiculously athletic and languid Michael Holding. Who didn't imitate him in their backyard? But Mikey had a new-ball partner who was the stern silent assassin. He was lose-sleep scary. He first shuffled, then hustled in his run-up, and then everything quickly gathered in a muscled but pure way as he hurled that red Kookaburra at frightening speed. 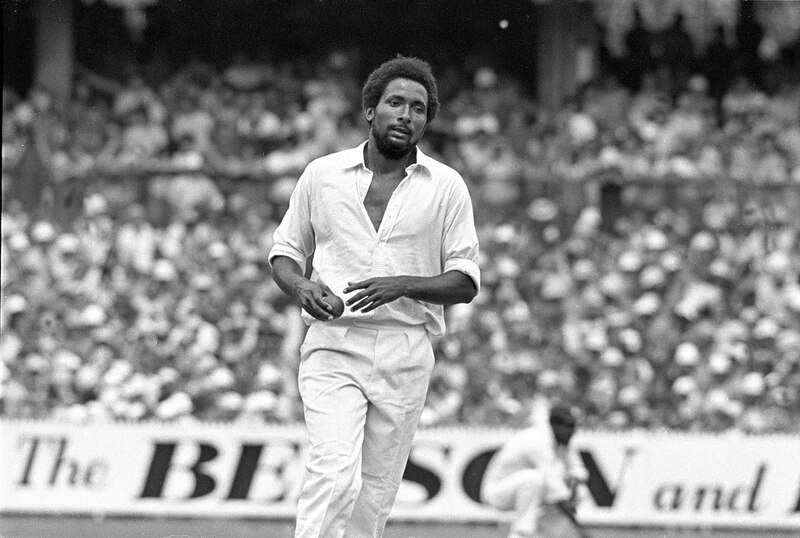 He was Andy Roberts. I didn't like Andy much then. I admired his skill, but his skill was the problem. He always seemed to challenge the bloke I admired. My very first bat, at age ten, was an Ian Chappell-autographed Gray-Nicolls Nylonlite, and what a beauty that was. In my backyard I gripped that thing like my life depended on it as John (aka Andy Roberts) came bustling in to bounce me. That always seemed the case, you know. Whenever I saw Chappelli bat against West Indies it seemed like Roberts was trying to knock his block off. I didn't like that but I loved the way Chappelli took him on and rarely ducked. He always got back and across and hooked. Then hooked again. I couldn't do the same at home. My backyard cement pitch, which was often watered to maximise the speed of John's taped tennis-ball thunderbolts, had one restriction: my bedroom window was an expectant short square leg. A large one at that. I remember about a dozen chilly evenings in Glenelg in South Australia when my bedroom window was no more. Let's face it. You can only bob and weave so many bouncers when you are a 13-year-old Chappelli. Sooner or later instinct was bound to take over, especially when I was convinced I could roll my wrists perfectly to miss my bedroom window. It appeared not well enough, actually. Smash, crash and yell. That was the sequence that greeted us as the tennis ball invariably careened around my bedroom, showering my floor with slivers of glass. Sleeping with the chill was an inconvenience, but not as much as rolling over in bed and finding a shard. But I digress. I had a close encounter with Roberts in the mid '70s. My dad was a bank manager during the week and lead gatekeeper at Adelaide Oval whenever required for the big stuff. He always worked during international games and arrived early to sort out cash floats - whatever they were! That gave me the ideal chance to locate my spot to watch the Tests. When Dad snuck me into the members' area I decided to take full advantage. There I was, towelling hat on, white zinc cream plastered, gap-toothed, sandwiches unpacked, drink sorted and ready to rock. My chosen spot, and everyone knew it, was right next to the gate where the players walked onto the hallowed turf of Adelaide Oval. After a couple of games when I watched players fumble with opening the gate, often annoyed after being sent on their way for a low score, I decided I would become the custodian of that gate. I jumped up and down and opened it every time a batsman was dismissed. Some even used to nod at me through gritted teeth. Roberts didn't. Because I always arrived an hour or so before the day's play, I would venture under the members' grandstand to the nets to watch the players warm up. No one beat me to the prime spot directly behind the stumps when Chappelli had a hit. Greg Chappell was so calculated and smooth. Lillee was magical and mesmerising. Thommo was brutal and lightning quick. Marsh was… not doing much. As the players finished their net session they walked past me to retreat to the change rooms. Autograph book in hand, I ambushed as many as possible. The Aussies obliged and often muttered what I think were words of encouragement through their formidable '70s-style moustaches. The West Indians were more of a challenge, but that didn't stop me. Dad bought me the latest tour brochure with the player profiles, and getting an autograph on the appropriate picture was gold. Roberts was the only West Indies player who signed the wrong page. 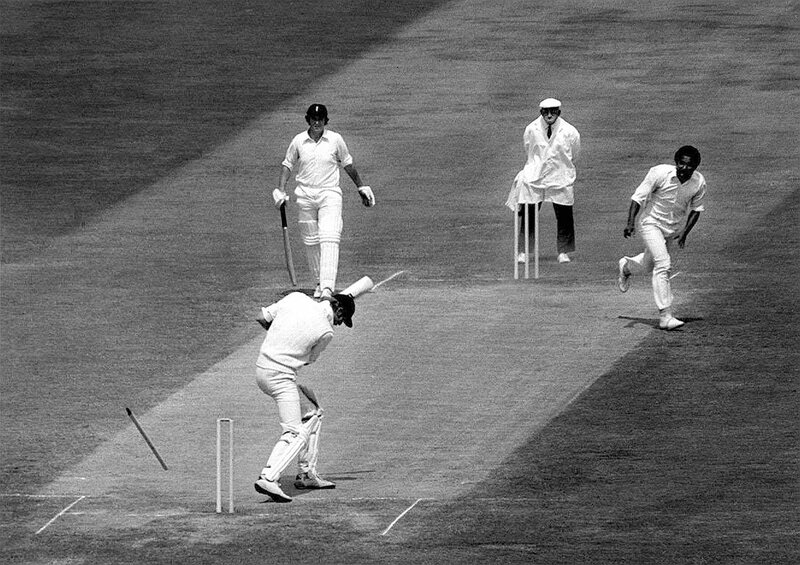 Later that day Roberts gave Chappelli a torrid working over. Chappelli won. During World Series Cricket, Roberts smashed my mate David Hookes' jaw. His stocks were plummeting in my teenage mind. He even had an altercation with Dennis Lillee after a Supertest that to this day has resulted in them not speaking to each other. Years later I met Andy when we were both on the playing staff at Leicestershire for a couple of seasons. He didn't say much. Twenty-five years later, when I was working in the Caribbean for a few years, primarily in Antigua, which is Andy's home, I worked with him almost every day during the cricket season. 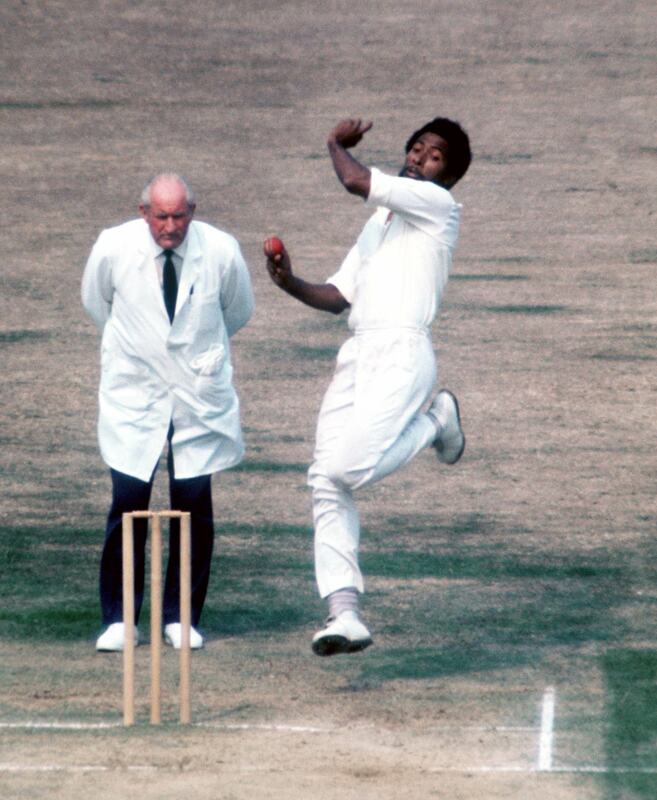 I remember an early introduction when he was one of 14 West Indies legends I interviewed for a television series. With Hookes' splintered jaw in mind I asked him about his famed double-bouncer policy. It was known in cricketing circles that Roberts' first bouncer was a sucker ball that was meant to be hooked. His follow-up bouncer was delivered at lightning speed and often turned into a jaw-seeking missile. He chuckled. He said that was rubbish. With a glint in his eye, he said simply, "I didn't like being hooked. The next ball was always going to be quicker." He chuckled again. Roberts was compelling and couldn't have been more accommodating. He is a quiet man and a great guy. He is principled, considered, and has cricket pulsing through his veins. He is a pleasure to catch up with. My gigs in the Caribbean over the years have allowed me to continue my interaction with him and that's pretty cool. I still wish he didn't constantly try and knock Chappelli's block off. Take no prisoners, show no mercy. So what if you've got to wear pink on occasion?